The NHL draft can be a pot-shoot where a team may not know for some time if they chose the player who will succeed. It's the 2015 NHL Entry Draft and you're Arizona Coyotes' GM Don Maloney. You have the third overall pick and both Dylan Strome and Mitch Marner are still on the board. Granted if crystal balls were handed out at the NHL draft each year the general managers would grab them up in no time... except just like life you never know what you're going to get (special thanks to Forest Gump for the use of those wise words). For the Arizona Coyotes, they really wanted a talented center to get them back on track after three very uninspiring seasons since they went to the 2011/12 playoffs. After all, Strome was a real talent with the OHL Erie Otters where he was breaking records like well... crystal balls. In 219 games he had 114 goals, 240 assists for a total of 354 points. That's 1.62 points per game. Then, in the OHL playoffs, he didn't skip a beat when he tallied 37 goals, 49 assists in 69 games, or a 1.25 points per game ratio. He was a "can't miss NHL star", right? Ah... so far not so much. Try 28 games with four goals, six assists. It's not that the Coyotes haven't been patient with him, giving him time to develop. They have. For whatever reason Strome hasn't shown his worth... as of yet. He reeks of 'potential', but even Forest Gump knows that potential doesn't win hockey games. Since the Coyotes went with Strome, the Toronto Maple Leafs selected Mitch Marner of the OHL's London Knights. His statistical background was similar to Strome's. In 184 games he collected 96 goals, 205 assists for 301 points. During the playoffs, Marner was a better performer than Strome with 28 goals, 41 assists in 34 games, or 2.03 points per game. One can see the dilemma which probably to this day haunts Maloney (well maybe not... ) when he chose Strome over Marner. There was concern that Marner was too small, coming at 5'11", 165lbs to compete in the NHL. During his first year of eligibility for the NHL Draft, his confidence was nearly shot... he only scored one goal and fours assists in his first 10 games. As a comparison, Strome had scored 30 points in the same number of games. Perhaps that in conjunction with Marner's size crossed Maloney and the Coyotes' minds as they passed by a player who thus far has outshined Strome in every way possible. His stats speak for themselves. He's the NHL star the Coyotes were seeking. In 159 NHL games, he has 41 goals, 89 assists for a total of 130 points. In the playoffs, he has again shown his value with 13 points in 13 games. Do the Coyotes regret NOT choosing Marner? He has performed so well, and with the addition of Auston Matthews to the team, the Maple Leafs are now Cup contenders. Add in the acquisition of the prize free agent John Tavares deciding to make his home in Toronto, and the Leafs seem impossible to stop. Just imagine though if Marner was in a Coyotes' uniform. Playing alongside the likes of Clayton Keller, the two would have made an offensive dynamo out of the desert club. Size certainly hasn't restricted Keller, who at 5'10", 170lbs led his team in scoring with 23 goals, 42 assists last season. He more than likely could have exceeded that total if Marner was on his line with veteran center Derek Stepan. That's offense the Coyotes desperately need and thought they would receive from Strome. So far it hasn't happened. Every young player develops at a different pace. 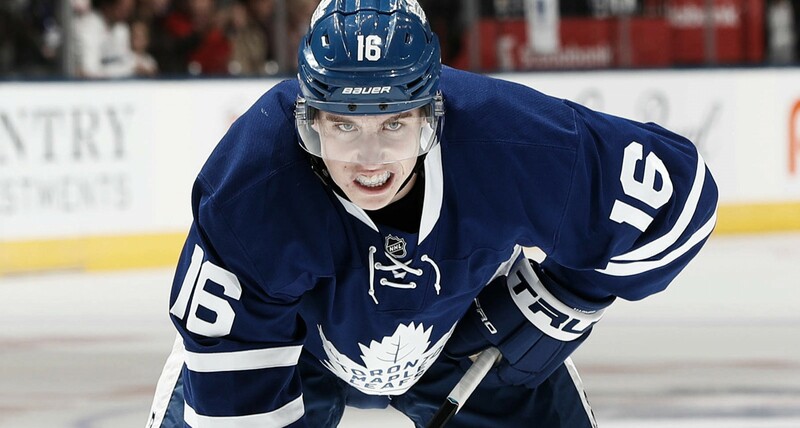 Without being too judgmental, it may be that Strome will still be as good or even better than Marner... but if it were me I'd be waking up in a cold sweat every time I heard the words... Mitch Marner. What could have been never happened. Ask Forest Gump about that... he knows. What do you think the Coyotes' success would have been had they chosen Marner over Strome? Let us know in the comments section below.